There are many reasons for an abdominal ultrasound exam. Most of them are because someone has stomach pain. It can be caused from all kinds of sources. They are, but not exclusive to, gallstones, aneurysms, damage to organs from an accident, blocked arteries or digestive tracts, cancer, enlarged organs, and a host of other reasons. An ultrasound exam is a simple, minimally invasive procedure that is not painful. It is safe and does not involve radiation, like x-rays do. 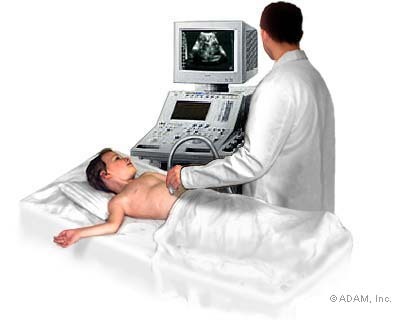 see ultrasound safety It only takes about 30-60 minutes to do.